Rinko's Childhood friend and Garnet's Human Partner. Also 14 years old and attends Junior High, Minami is a Member of the school's Kendo Club whose family owns an Okonomiyaki shop in the city Suburbs. 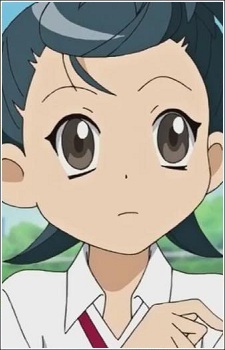 She's very tomboyish and always uses her Kendo skills in some situations, though she admires her club senior Miyamoto.